Question on roots of a quadratic polynomial. Thread: Question on roots of a quadratic polynomial. 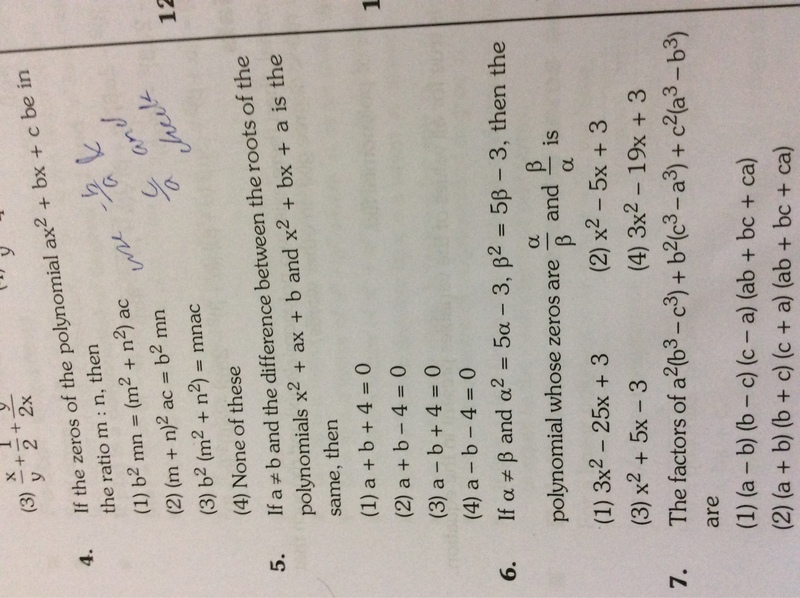 Re: Question on roots of a quadratic polynomial. Do you know the "quadratic formula"? What does the quadratic formula give for the two solutions to $\displaystyle x^2+ ax+ b= 0$? What is the difference between them? What does the quadratic formula give for the two solutions to $\displaystyle x^2+ bx+ a= 0$? What is the difference between them? Set those two differences equal. What does that give you? @sbjsavio. Please tell us why you post your images sideways? Do you expect us to stand on our heads? Ok sorry for those silly things. Thank u guys i got it by solving.I used that quadratic formula method from hallofivy.